Speer’s reputation for excellence goes all the way back to 1943. 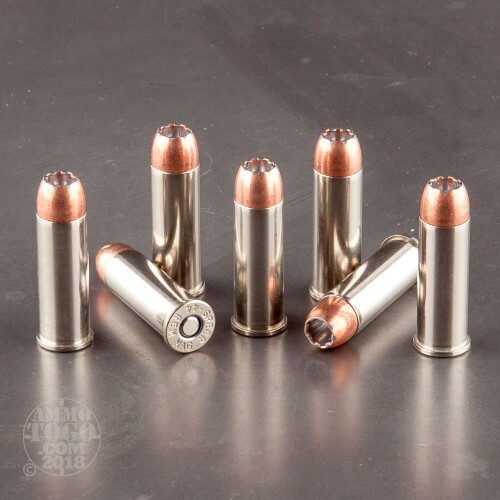 The company introduced the first mass-manufactured jacketed hollow points for law enforcement. 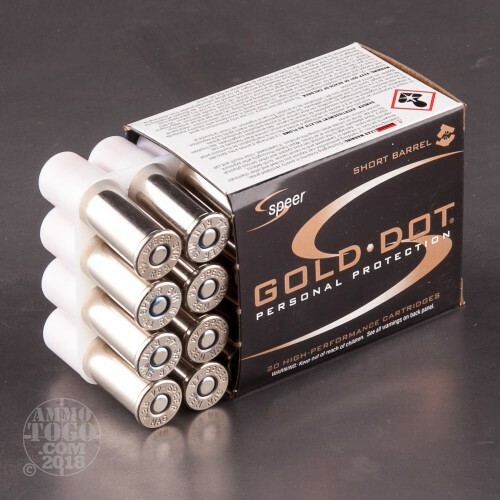 Today, Speer’s Gold Dot line is the most trusted duty ammo for law enforcement personnel across the country. Also ideal for civilian personal protection, Speer Gold Dot delivers excellent terminal performance, accuracy, and reliability. 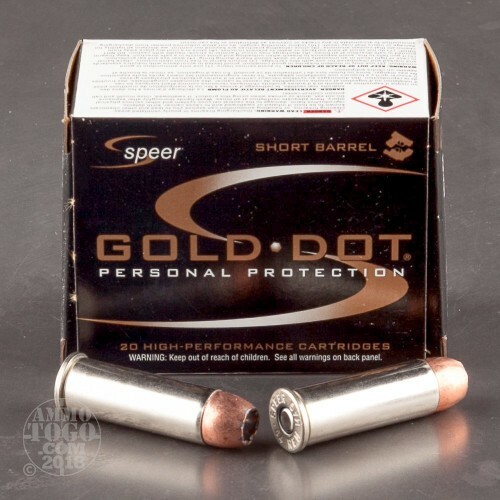 This package contains 20 rounds of Speer Gold Dot Short Barrel .44 magnum ammunition. Each cartridge is loaded with a 200 grain jacketed hollow point projectile. 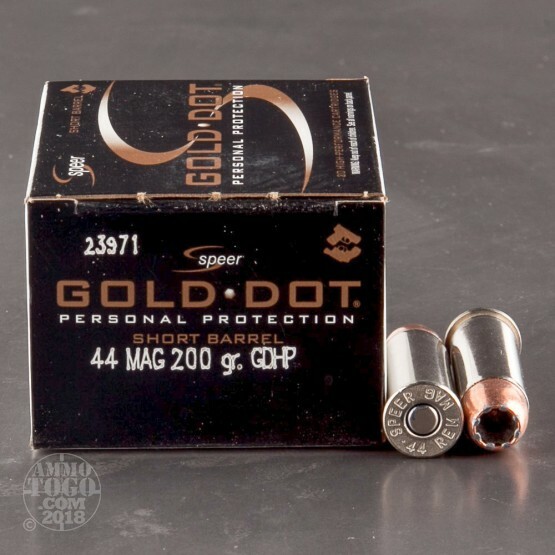 This particular ammo was designed specifically for use in modern compact, short barrel handguns. WIth optimal expansion at short ranges, these rounds are perfect for use in your concealed carry handgun. This ammunition is factory fresh, non-corrosive, and boxer primed. Featuring nickel-plated brass cases, these cartridges deliver smooth, reliable feeding, function, and extraction. The bright, highly visible, nickel-plating makes for easy loading and quick chamber checks, even in low light defense situations. Each round produces a consistent muzzle velocity of 1075 feet per second with a muzzle energy of 513 foot pounds.